Radio frequency interference from the use of hand-held radios near the instrument. 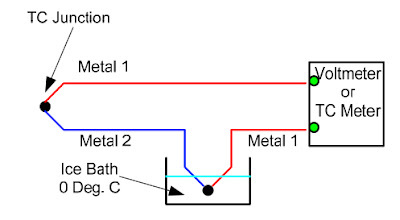 “Ground loops” that result when condensation and corrosion ground the thermocouple and create a ground loop circuit with another ground connection in the sensing circuit. 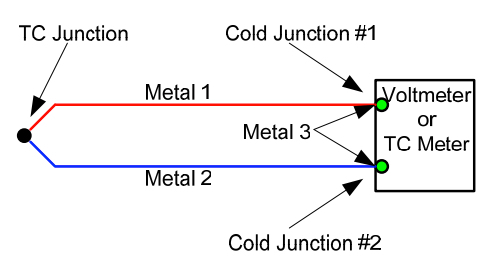 Most problems with thermocouples are aggravated by use of the thermocouple to measure temperatures that approach or exceed their upper temperature limits. 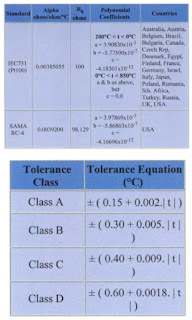 Careful recording of events that could affect measurements should be kept in a logbook. Any adjustments or calibrations should also be recorded. The logbook should contain the names of individuals performing maintenance and calibrations as well as defined procedures. In systems monitoring many locations, such a log is especially useful for fault diagnosis. 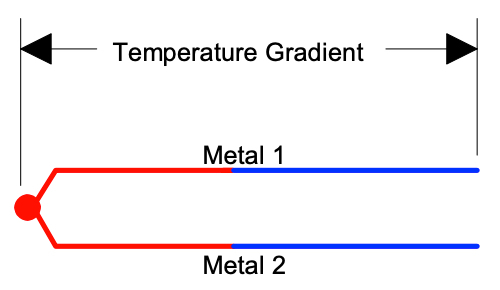 Molybdenum - or tantalum-sheathed thermocouples will fail rapidly if placed in oxidizing atmospheres. 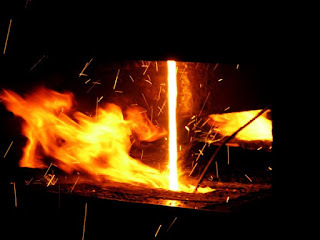 During one study of thermocouple performance, 24 combinations of thermocouple and sheath material types were tested at temperatures up to 1200 C (2200 F). 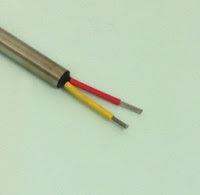 The results indicated that above 600 C (1110 F) thermocouples are affected by complex chemical interactions between their components; even though wires and sheaths were physically separated, exchange of constituents occurred. 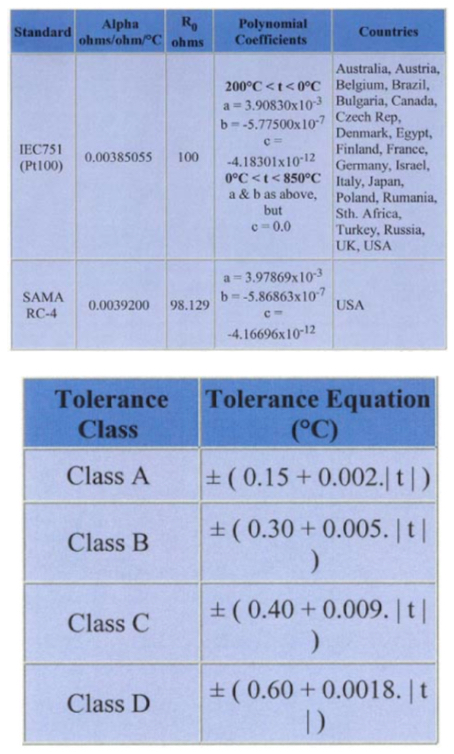 The study concluded that thermocouples maintain calibration better if sheath material is similar in composition to thermocouple alloys. By using similar alloys longer performance can be expected for sensors subjected to temperatures above 600 C (1110 F), and the use of similar alloys is essential for temperatures above 1000 C (1830 F). 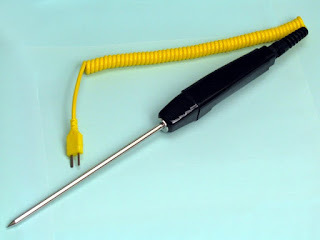 For more information on the proper use of thermocouples, contact Duro-Sense Corporation by calling (310) 533-6877 or visit their website at https://duro-sense.com. 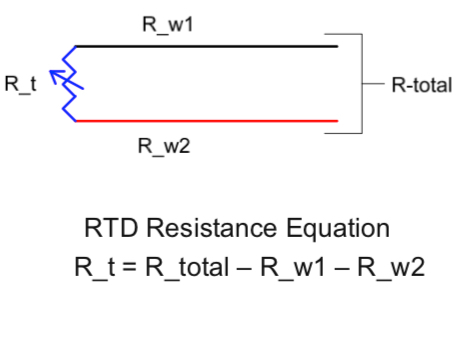 Reprinted from CAM Technical Guidance Document courtesy of EPA.gov.